Can’t be too careful guarding our perimeter, sir! 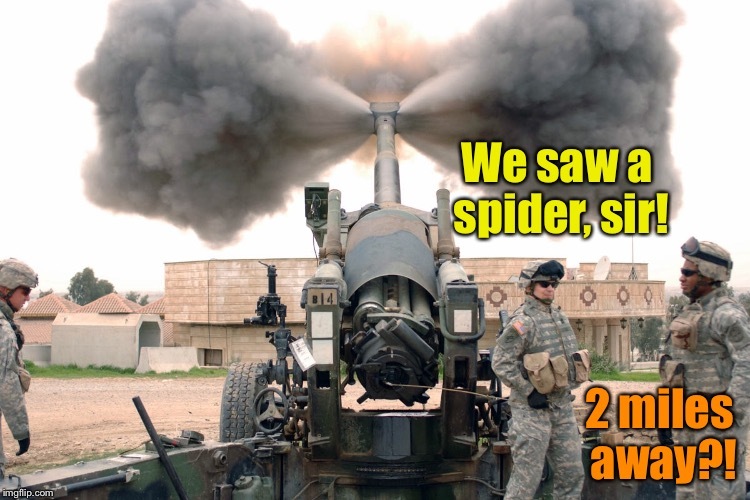 We saw a spider, sir! 2 miles away? !